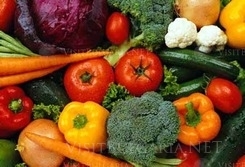 Carving fest “Lyaskovets – colourful vegetables capital” will popularize the town, as a centre for vegetables growing. The project will be financed by operation program “Regional development”. It will cost 485 000 BGN and will be completed in 20 months. A festival scene “Kingdom of the vegetables” will be constructed near the museum of gardening. The festival zone will show vegetables market and art ateliers.